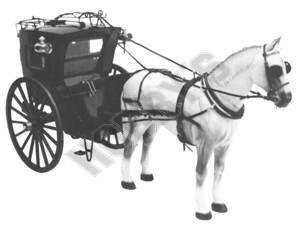 Very much a part of city life in late victorian , and in Edwardian times, the Hansom Cab was a most elegant vehicle. The structure is really quite complex, and represents the zenith of the coachbuilder's craft. Not an easy subject for the modelmaker to set out, on account of the angles and curves of the body, but the more experienced craftsman will enjoy making the folding doors, and the remotely operated hood glass. 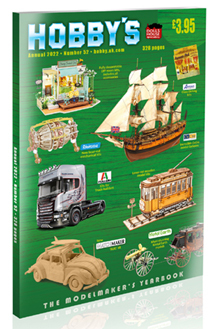 A suitable subject for construction in styrene sheet, especially in the smaller scale. Also available in 1/8th scale JT39A.